To go plus, or not to plus? Is that even a question? If it is, Tom Nash has been trying to answer it after receiving a set of SUNringlé Düroc 40 wheels designed to accommodate 27.5+ tyres. Over to Tom! 27.5+ isn’t something I had ridden prior to this test, and to be honest, it’s a concept I was not fully bought into. So when the SUNringlé Düroc wheels arrived I was intrigued to get them onto my bike and put them through their paces. One of the joys of owning a Santa Cruz Hightower with a Boost-spaced fork is the ability to freely swap between 29in and 27.5+ wheels, making it easy to ride them back-to-back on the same trails to help gauge the differences. The SUNringlé Düroc 40 wheels are available in 27.5in and 29in diameters, and are designed for use with 2.5-2.8in wide tyres. 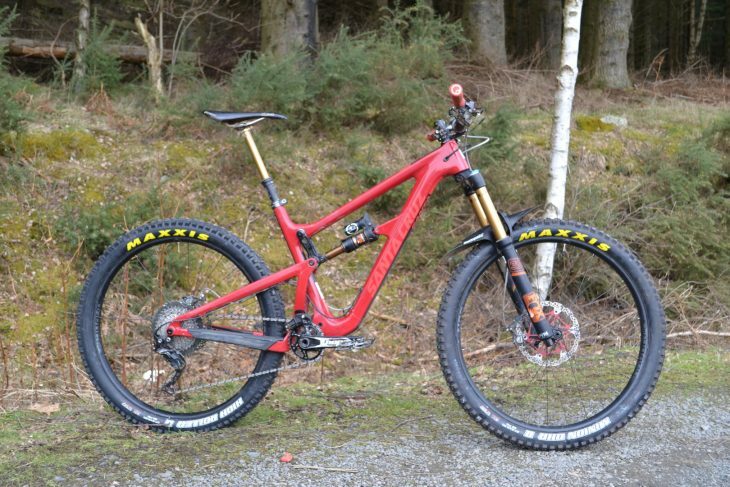 Tom’s been testing the SUNringlé Düroc 40 wheels and a pair of Maxxis 2.8in tyres on his personal Santa Cruz Hightower. Immediately the Dürocs won favour with me as they come already setup with tubeless tape, while tubeless valves and sealant are included in the box. 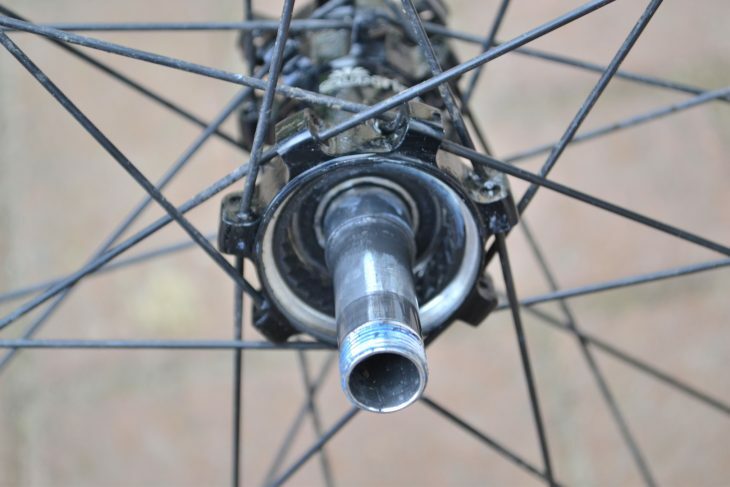 The rear wheel also comes supplied with both XD and ‘normal’ freehub options, so you can run your preferred cassette without having to purchase an additional part, like you have to do with most other complete wheels. The Dürocs are very understated, coming in a simple plain black finish with discreet grey and white graphics both on the rim and on the SUNringlé SRX hubs. 28 Wheelsmith, offset, double butted, straight pull spokes complete the build. Tubeless tape, valves, and sealant are included in the box. The rim itself has a shallow profile with ‘bead humps’ that are designed to prevent the tyre from burping at low pressures. 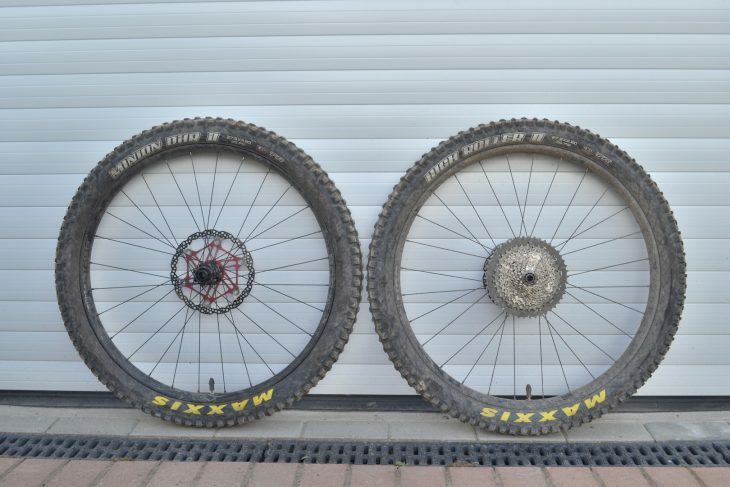 Setting up tubeless was a cinch, albeit they were only tested with Maxxis 2.8in tyres, but there are no reasons why other brands will not inflate as easily. With an internal width of 36mm and an external width of 40mm, this set of SUNringlé Dürocs are ideally suited for the 2.6-2.8in tyre range (and also newer generation 2.5in ‘Wide Trail’ tyres) but they’ll comfortably take a 3.0in tyre too. 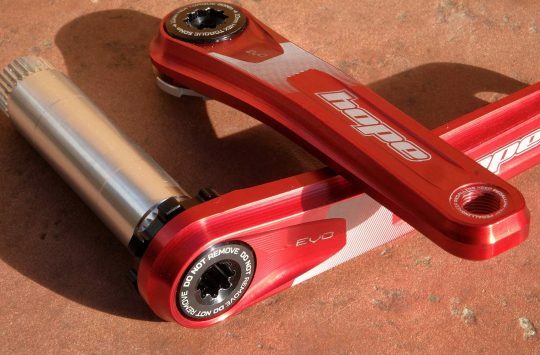 If you want them in another configuration, they are also available in 30mm, 35mm and 50mm (external) widths, and the hubs can be had to suit Boost or non-Boost hub spacing. 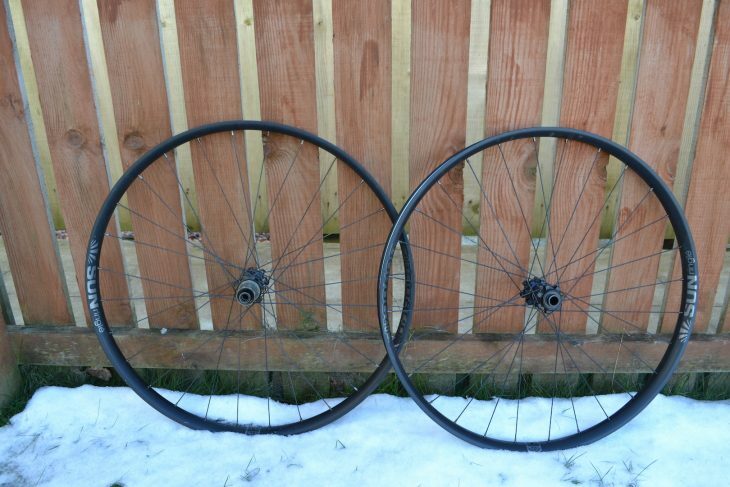 They are not the lightest wheelset out there (912g front, 1040g rear with tape, no valves) but they are also no heavyweight. Indeed they are within 10g of the Stan’s No Tubes S1 29in Arch wheelset I reviewed last year. The shallow rims are made from alloy, and proved plenty tough throughout testing. I always have a peek inside the hubs. Both the hubs and freehub have sealed cartridge bearings throughout which is a good thing for durability, but there was no grease at all on the bearing surfaces or seals so I added a little just to try and help protect the hub a bit more from the snow and water that was adorning much of the Scottish countryside during the test period. The freehub has a 10° pick-up, so engagement was snappy. It is not a hub for those that like silence however. 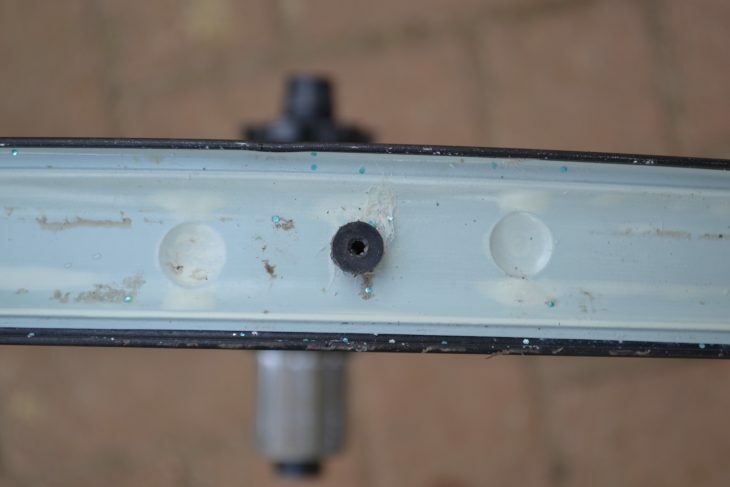 The freehub body is showing several battle scars thanks to gouging of the splines by the cassette, no matter how tight the cassette seemed to be installed this remained a problem and can make removing the cassette tricky. 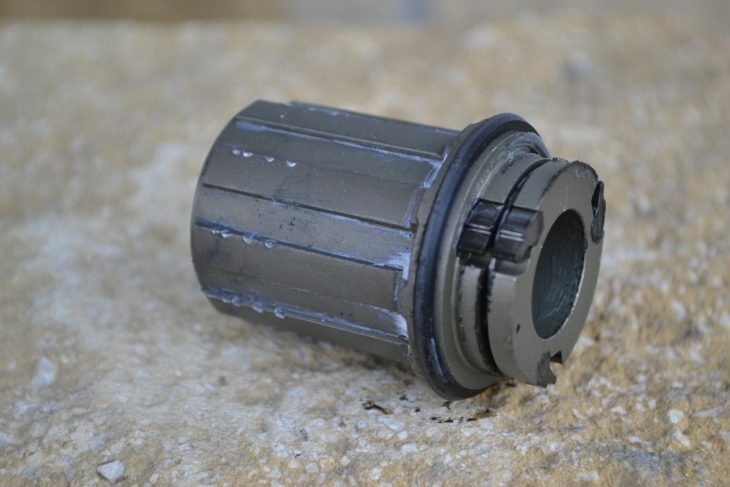 The freehub body is made from alloy, and has started to exhibit scarring on its splines. You get 36 points of engagement from the SUNringlé SRX rear hub. The tyre combo I tested featured a Maxxis Minion DHR II up front, and a High Roller II out back. These tyres are subject to a separate review coming shortly, but it has to be said that the amount of grip one gets from a big volume 2.8in tyre adorning the SUNringlé Düroc wheels is insane! 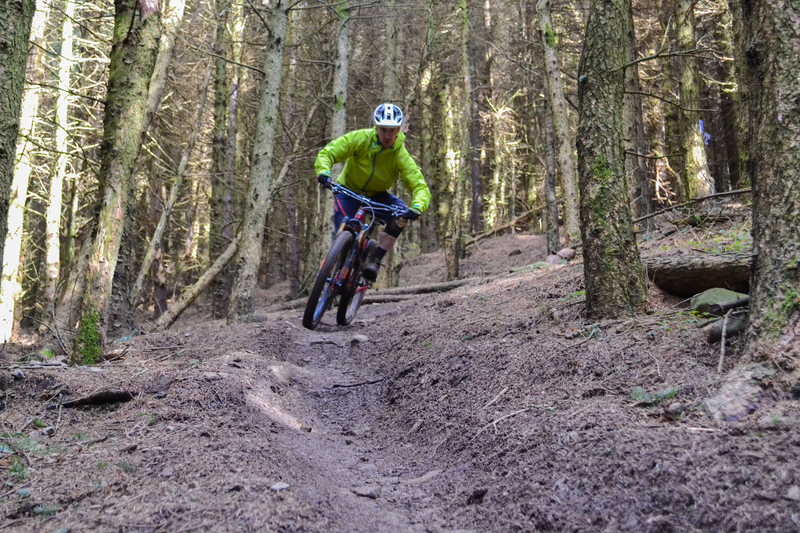 To try and wreck the wheels however, I did a couple of days using the new Adrenalin Uplift service on the downhill trails at Innerleithen as well as a lot of general trail riding taking in drops, jumps and rock gardens. This has left a couple of superficial scars, one reasonable dink on the rim and a couple of spokes have needed tightening, but they are still running well. The wheels are plenty stiff enough which helps give a lively ride but also helps maintain lines when loading the wheels in corners. With the big 2.8in tyres setup at low pressures, the traction is insane. One thing that was noticeable when really pushed hard is that the plus tyres can squirm a little. This makes the wheels feel like they’re moving slightly underneath you, even though they are in fact retaining a predictable track throughout. This is a bit of a weird sensation, and it’s simply a quirk of running plus rubber that takes a bit of getting used to. That said, the grip that comes from the plus setup encourages the rider to push the boundaries. I found I was braking less and barrelling into corners faster than I would on my usual 2.3in tyres in the knowledge that you can just lean the bike, push into the corner and be confident that the tyre will just stick to the ground and get you round the turn. If you do need to brake, you can leave it quite late again knowing the traction is (almost) guaranteed. 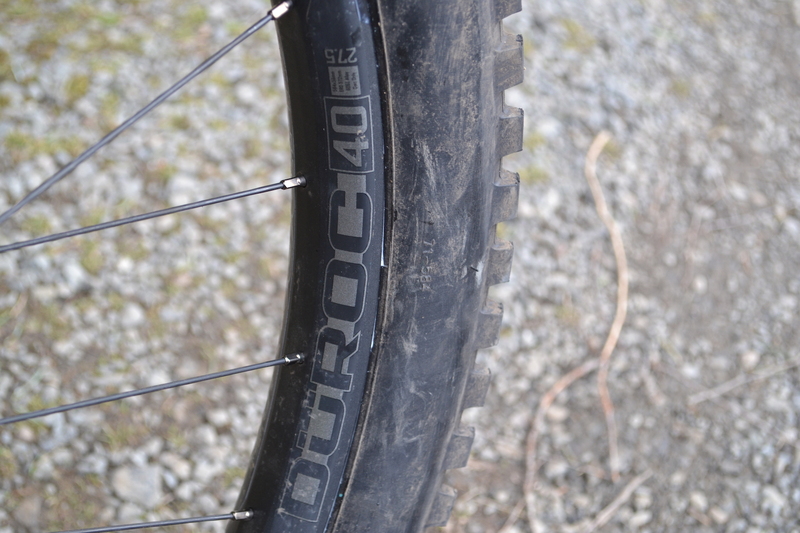 The Düroc 40 wheels are plenty stiff and track predictably. You’ll still get some wobble from the plus tyres though. On back-to-back runs comparing the 27.5+ and 29in wheel setups, it turned out I was nearly ten seconds quicker across a 3-minute downhill run with 29in wheels. 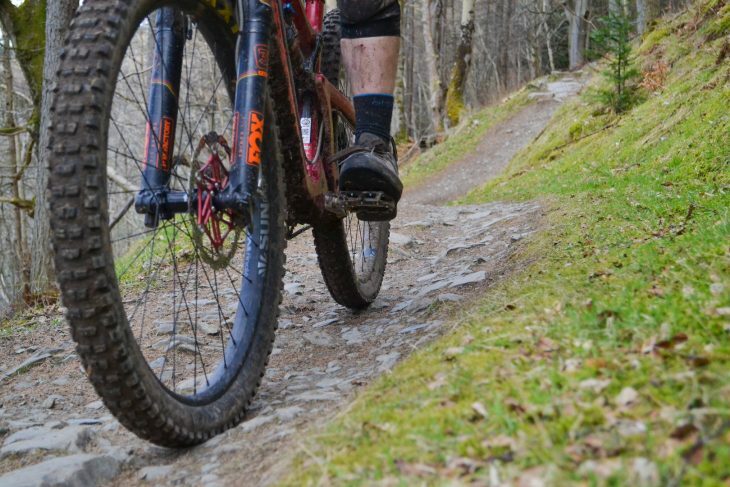 This was the case across several runs across multiple trails at Innerleithen, so in my experience, the 27.5+ definitely takes a hit when it comes to flat-out descending speed, and that’s probably why we’re not seeing World Cup downhillers on plus tyres. Ignoring the stopwatch though, there are no doubts that I felt more comfortable with the 27.5+ setup, and for what it’s worth, I was having more fun on the bike too. I’ll have a separate feature coming soon on my experience with the 2.8in wide Maxxis High Roller II and Minion DHR II tyres, so keep your eyes peeled on the website for more there. These are tough, fully-featured and top value wheels for those wanting to go plus, or run the new generation ‘Wide Trail’ tyres around the 2.5-2.6in width. 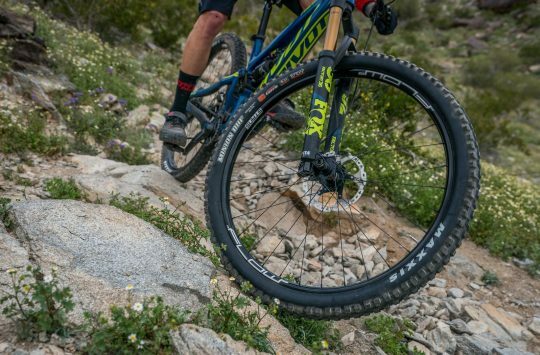 If you really hammer your bike on downhill tracks at the low pressures and high speeds plus encourages, then no rim will survive without a scrape or two – the testament to the SUNringlé Düroc 40 wheels is that they have shrugged off the knocks and dings without being pushed out of true, and that’s kept their on-trail performance consistent. All in all, the Düroc 40 provides a great after-market option for someone wanting a wide rim for a plus or semi-plus tyre setup. They have proven to be reliable and very easy to set up with tubeless tyres. The fact they come ready to go straight out the box in whatever configuration you require is great, and to me, it’s the small things that do make a difference. 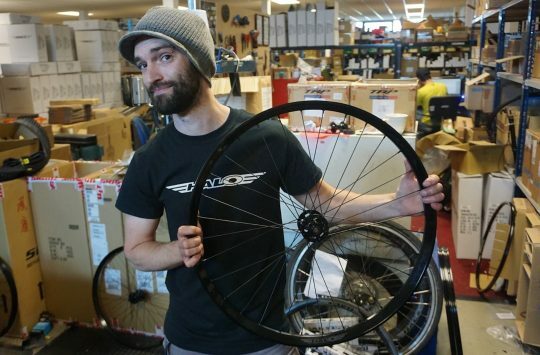 Flying the flag for British design – a visit to Ison Distribution – Part 2 – Halo wheels. I’m pretty sure Sun Ringle have licensed Stans rim designs from Stans in the past. Well Sun Ringle are a mahoosive manufacturer of rims, I expect it is the other way round… I love my Durocs, no dings yet. The real shame is that I can’t find the wheels or the rims for sale anywhere outside the US.